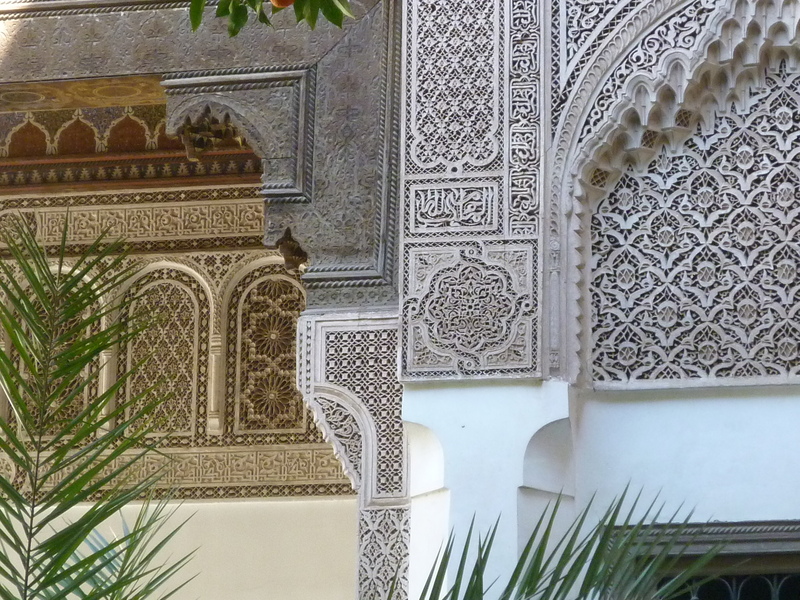 We were lucky enough to visit the exquisite Bahia Palace in Marrakesh on our brief trip to Morocco a few years ago. This is a detail from the cool and peaceful little courtyard. All the walls are heavily decorated which make them look as though they are made of lace! It’s a beautiful, calm, oasis in that exciting and colourful city. This entry was posted in Photo Challenges and tagged Bahia Palace, dpchallenge, lace, Marrakesh, Morocco, photo, photography, travel, walls. Bookmark the permalink. I always enjoy intricate designs, so beautiful..! Bahai Palace is a real gem! ohhh lol no I haven’t yet, would love to though! He hee… You should – Marrakech is completely and wonderfully bonkers!! Such delicate attention to detail. Absolutely phenomenal! It is really gorgeous isn’t it!